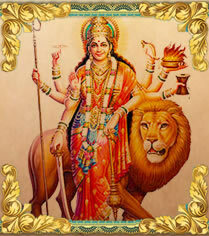 Navratras is divided into sets of three days to adore different aspects of the supreme goddess. On the first three days, the Mother is invoked as a powerful force called Durga in order to destroy all our impurities, vices and defects. During the next three days, the Mother is adored as a giver of spiritual wealth, Lakshmi, who is considered to have the power of bestowing on her devotees the inexhaustible wealth. The final set of three days is spent in worshipping the mother as the goddess of wisdom, Saraswati. In order to have all-round success in life, we need the blessings of all three aspects of the divine mother; hence, the worship for nine nights. Makar Sankranti is one of the most auspicious day for the Hindus, and is celebrated in almost all parts of the country in myriad cultural forms, with great devotion, fervor & gaiety. Lakhs of people take a dip in places like Ganga Sagar & Prayag and pray to Lord Sun. It is celebrated with pomp in southern parts of the country as Pongal, and in Punjab is celebrated as Lohri & Maghi. Gujarati's not only look reverentially up to the sun, but also offer thousands of their colorful oblations in the form of beautiful kites all over the skyline. 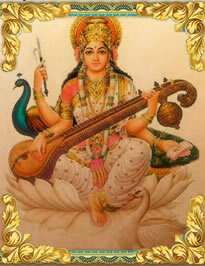 Vasant Panchami is the festival dedicated to Saraswati, the goddess of learning. Yellow colour is given special importance on this day. On Vasant Panchami, Saraswati is dressed in yellow garments and worshipped (with Puja, Havan etc.). Men and women try to wear yellow clothes on this day. 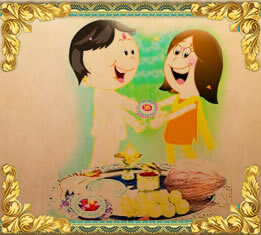 Sweetmeats of yellowish hues are exchanged with relations and friends. Mahashivaratri (the great night of Shiva) falls on the fourteenth day of the dark fortnight of Phalguna,and is dedicated to the worship of Lord Shiva.On this day devotees sing bhajans in honor of Shiva, recite Sanskrit shlokas from scriptures, offer prayers in the morning and evening, and some observe fasting throughout the day.People visit nearby temples of Shiva and offer prayers in large crowds. The prayers and worship continue late into the night when the devotees offer coconut, Bilva leaves, fruits, and specially prepared sacred food to Shiva and his divine consort Parvati. Holi is held in early spring at the full moon of Phalgun. The festival is connected with the legend of Hiranyakashipu (H) and his son Prahlada. 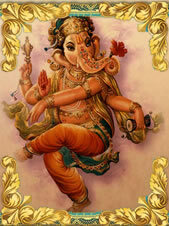 H, a devotee of Siva obtained from the Lord, the sovergeinity of the three worlds for a million years. He persecuted his son because he was a devoted worshipper of Vishnu. Angry with his son H started torturing his son with the help of his sister Holika. Eventually entered a pillar of heated iron and tore H to pieces. Then Holika tried to burn herself with Prahlada. While she died in the fire, Prahlada was left unscathed. Rakhi holds immense significance in Indian cultural ethos. The custom of celebrating Rakhi started in Vedic times and even today brothers and sisters consider it must to celebrate the occasion in traditional manner. When brothers are away sisters send Rakhi to them and express their love. Accepting the Rakhi with grace brothers send Return gifts to their sister. This loving gesture goes a long way in strengthening brother sister relationship and building stronger family ties. Maha Vishnu took various avatars to protect the mortal world from the evildoers and sinners. 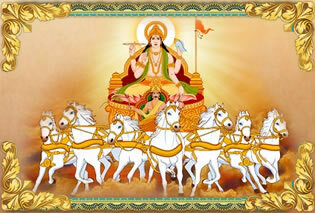 One such incarnation was his birth as the child of King Vasudeva and Queen Devaki Devi. Sri Krishna Jayanti is the birthday of Lord Krishna. It falls on the 8th day of the dark half of the month of 'Bhadrapada' (August-September).A twenty-four hour fast is observed on this day, which is broken at midnight. The festival is called in different names as "Krishna Jayanti", "Janma Ashtami", "Krishnaashtami" , "Gokul Ashtami", and as "Sri Jayanti". One of the most popular Gods in India, lord Ganesh or Ganpati is considered a symbol of wisdom and a bringer of good luck.Ganeshji is remembered on chauth or chaturthi, the 4th day of every month of the Hindu calendered, but most of all on Ganesh Chaturthi which is celebrated as his birthday.Ladoos (sweets) are distributed, milk is offered to idols of Lord Ganesh at home and at temples, and worshippers visit Ganesh temples for Ganesh Puja. Dussehra is the popular festival in India. It is a Hindu festival, which is celebrated all over India to mark the defeat of Ravana by Lord Rama.This day is also known as Vijaya Dasami, because of the victory of Ram over Ravana. 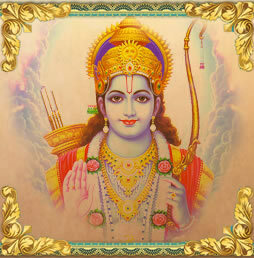 On this day in Satya Yug, Ram (the eighth incarnation of Lord Vishnu), killed the great demon and king of Lanka, Ravan. Puranas also opined that in this day warrior Goddess Durga defeated and killed the buffalo demon Mahishasura. A fast that ensures the well-being, prosperity and longevity of their husbands, the festival of Karwa Chauth provides an opportunity for all married women to get close to their in-laws.Possessing a tremendous social and cultural significance, this festival is celebrated by keeping fast, applying henna and exchange of gifts. 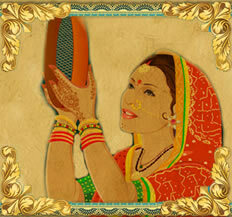 Celebrated mostly by North Indians, the event of Karwa Chauth is growing bigger with each passing day. Along with traditional items such as henna, beauty products and fashionable clothes, the demand of special eateries are also gearing up. Diwali commemorates the return of Ram, an incarnation of Lord Vishnu and the eldest son of King Dasharath of Ayodhya, from his 14-year exile with Sita and Lakshman after killing the Ravan, a demon king. The people of Ayodhya illuminated the kingdom with earthen diyas and fireworks to celebration of the return of their king. Twinkling oil lamps or diyas light up every home and firework displays are common all across the country. This celebration took place on the night of the new moon of Ashwin. The tradition and the timing continued to be followed even these days.